There’s a ton of online store builders out there and I don’t think there’s a single answer for everyone. 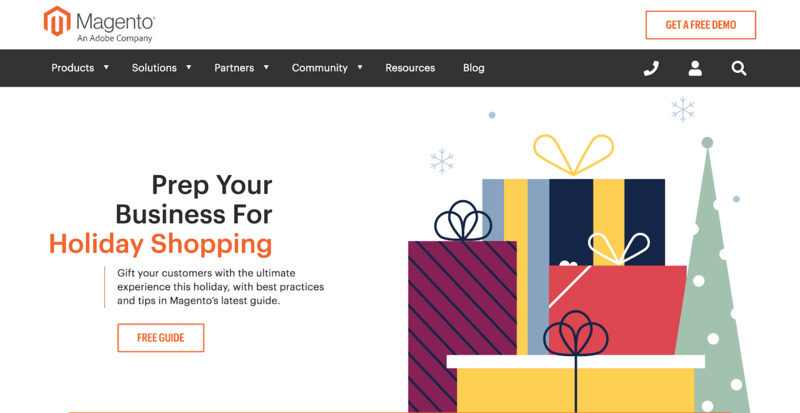 If you are comfortable using WordPress, WooCommerce can work just fine. If you are geared to dropshipping, Shopify is good for that. In terms of SEO, Shopify is in the middle of the pack. 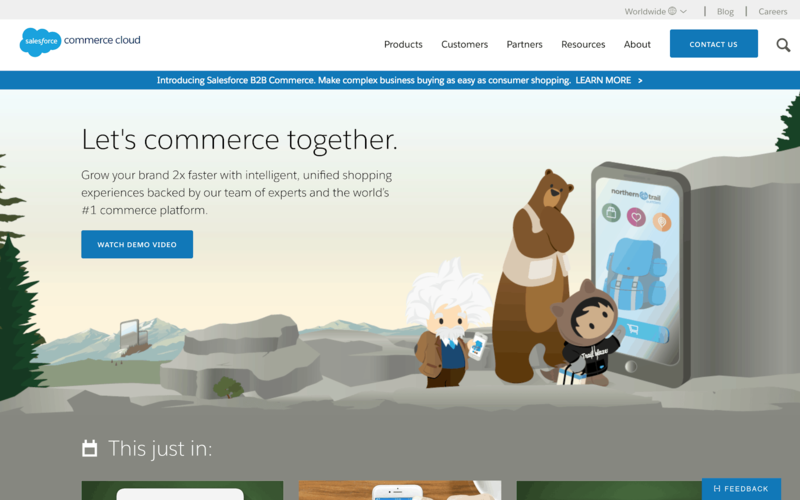 BigCommerce or WooCommerce is much better. BigCommerce is best for larger sites as WooCommerce can be a bit sluggish. Shopify is hands down the easiest to use, though. If you don’t plan to do a lot of marketing automation or really grow a store lower priced versions like Wix, Weebly or Squarespace – could work. For example, if you are mainly a physical bakery and wasn’t going to put a lot of resources into online marketing – these simple website builders could work. Ecommerce is one of the fastest growing business models in the world today, and everyone wants a piece of the action. Don’t believe me? Check this stat. Based on worldwide sales trends, the ecommerce market is due for a 221% increase by 2020. That’s billions of dollars we’re talking about. Owning and operating an online store is a viable career, but you can’t go it alone. In order to thrive in this game, you are going to need an online store builder. There are hundreds of them on the market. Not all are created equal. Combing through the hundreds of online store builders is counterproductive. You need a starting point. When you are just starting out, simply understanding the options you have to build an ecommerce site can be confusing and overwhelming. 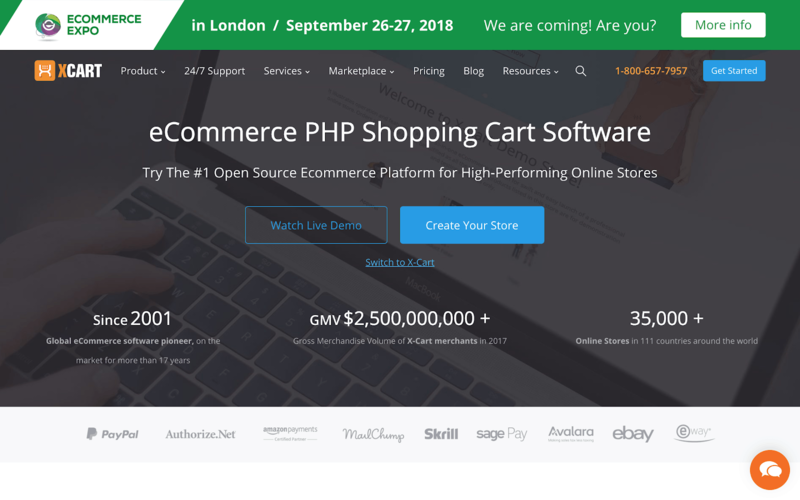 That’s why I’ve put together this list of the most popular ecommerce website builders on the market today. Most platforms handle basic things like getting shipping information and automatically updating customer data when they buy. The differences lie at what they excel at. Looking for free options? Maybe you want something non-techy? Don’t want to worry about paying for hosting too? You’ll need a SaaS platform. Want to host it yourself? Go with the self-hosted options. Use the filters below to learn about all the ecommerce website builders. 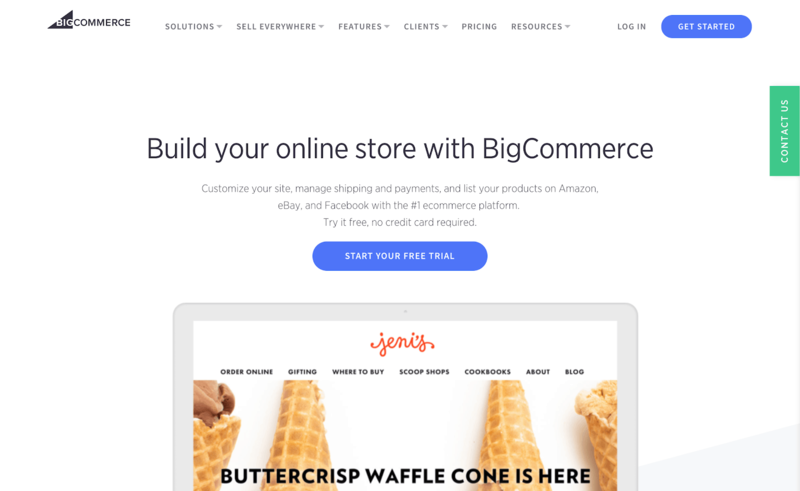 Since emerging in 2009, Bigcommerce has become a go-to online store builder that offers a high-end shopping cart, payment gateway, and website building features. Another Saas platform, Bigcommerce handles all the backend security issues that could cause a site to crash. BigCommerce’s strong SEO, robust search function and mobile-friendly designs set it apart. If you have the budget, give the free trial a run. Overall, BigCommerce is the best ecommerce website builder. For in-depth info on BigCommerce, read this review. 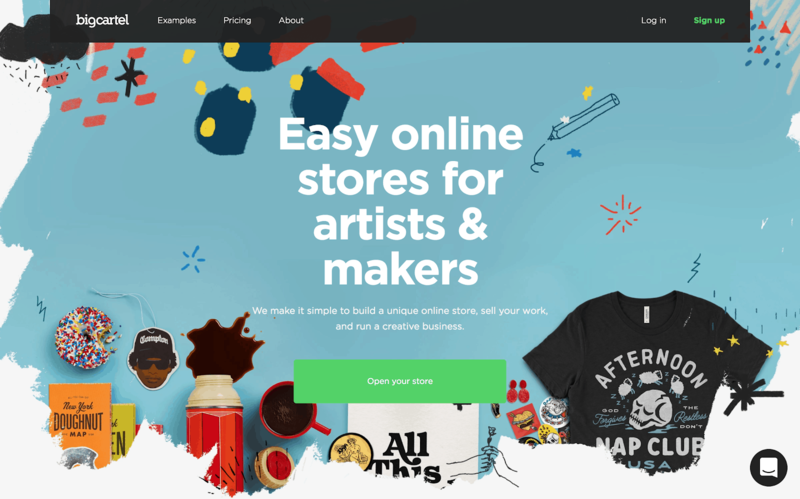 Launched in 2004, Shopify is one of the most well-known ecommerce builders on the market. Shopify is intuitive and super easy to use. Its $29 a month price tag includes hosting. Shopify is integrated with almost every app you’d need. I love that they have abandoned cart emails on the $29 plan. There is no free version, but users do get a free trial. For an in-depth rundown of the platform, check my review here. 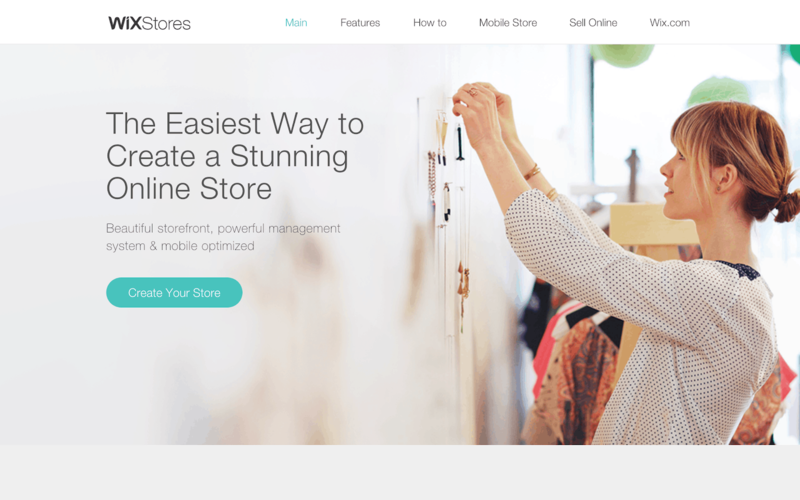 Woocommerce offers an excellent free plugin to turn your WordPress site into a store. If you are at all familiar with WordPress, Woocommerce will be an easy adoption for you. As your site grows, you will need to add some of the paid options. However, it is an accessible product offering quality ecommerce tools. The updates can break things if you are not careful. 3dcart has been in the game since 1997 for a reason. This SaaS platform excels in SEO optimization. They also have plenty of customization options; you get access to over one hundred of their themes. They do not offer a free model but do give users free trial access. 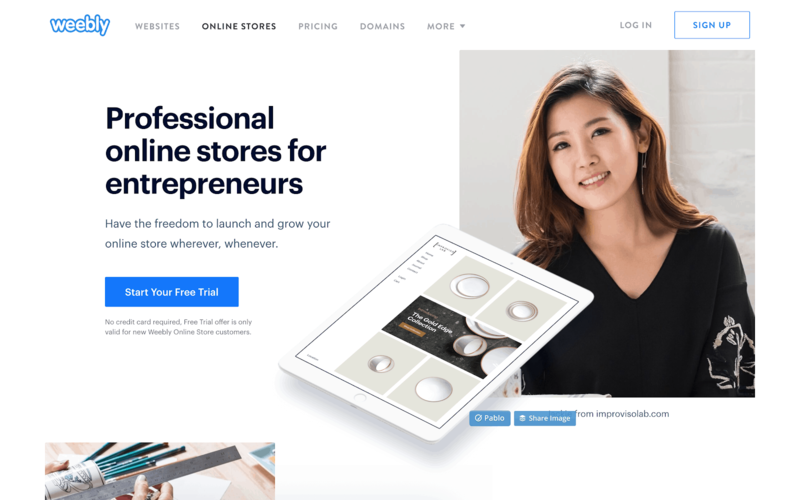 This is not a tech-heavy site( think drag and drop), but offers all the tools you need to build an successful online store. Want to know more about 3DCart? Check out this review. Magento is a self-hosted ecommerce product. Right of the bat: Magento is not for entry level ecommerce. An Adobe company, Magento offers solutions for businesses of all sizes. You’ll need some serious development resources to launch a Magento site. 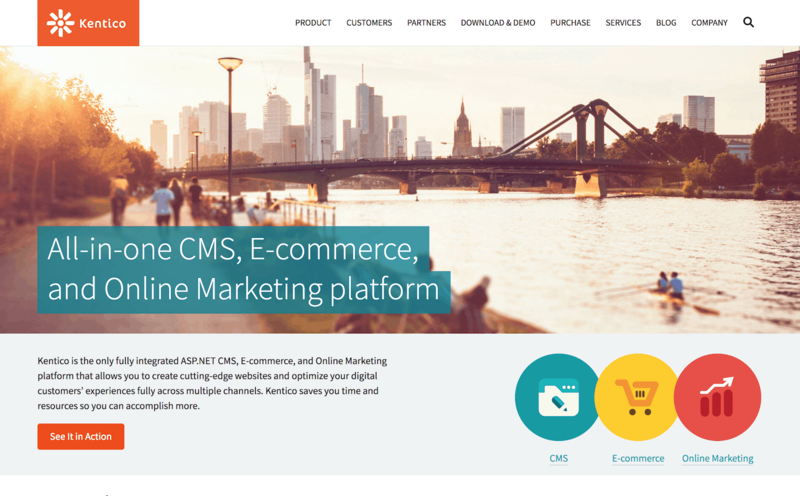 PrestaShop is an ecommerce service that offers both self-hosting and SaaS platforms. They provide both free and paid services, along with offering both techy and non-techy solutions. If budget is a big concern, Prestashop is a great option for you. Squarespace has been providing one-stop website building services since 2004. They are about as non-techy as it gets, providing users with easily accessible templates and design options. The platform can put out some really sleek looking websites. Squarespace, check this review for more in-depth information. Volusion has been doing their thing since 1999, generating over $28 billion dollars in sales for their clients in the process. 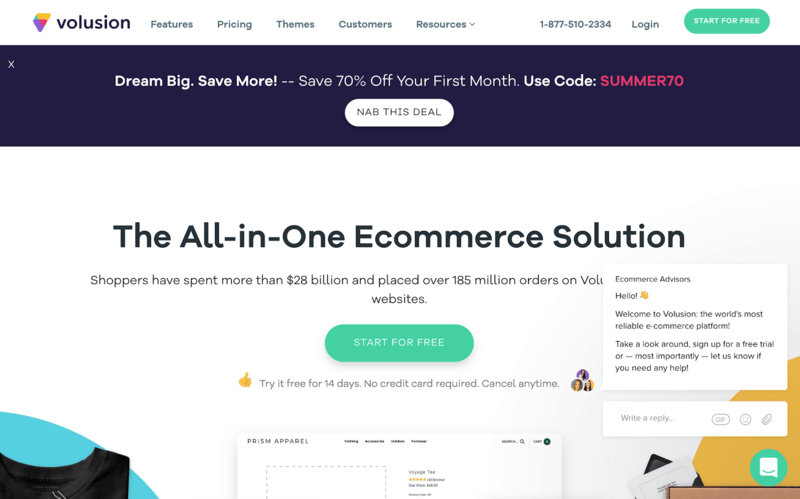 At $15 a month, Volusion offers all the services you need to get an ecommerce shop up and running. They have a free trial version, but do not offer any free versions of their SaaS product. 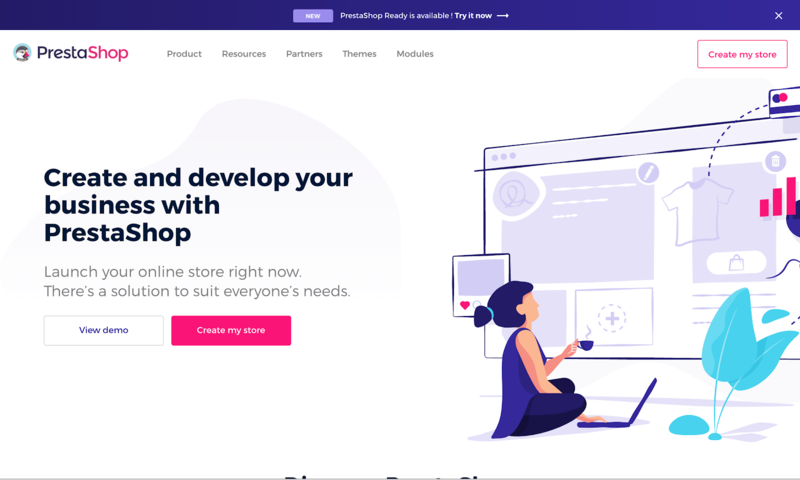 Volusion is another non-techy site good for those who want their investment in online store builders to do the heavy-tech lifting. Interested? Check out this in-depth review. 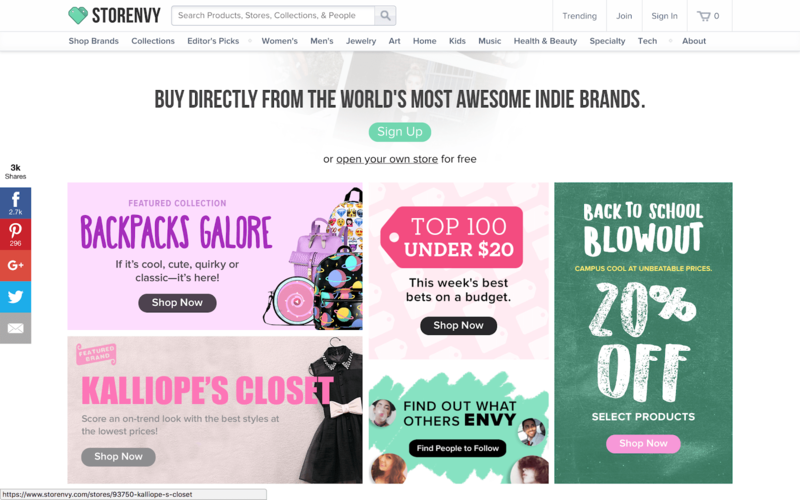 Weebly is another strong ecommerce platform for the not-so-tech-savvy. 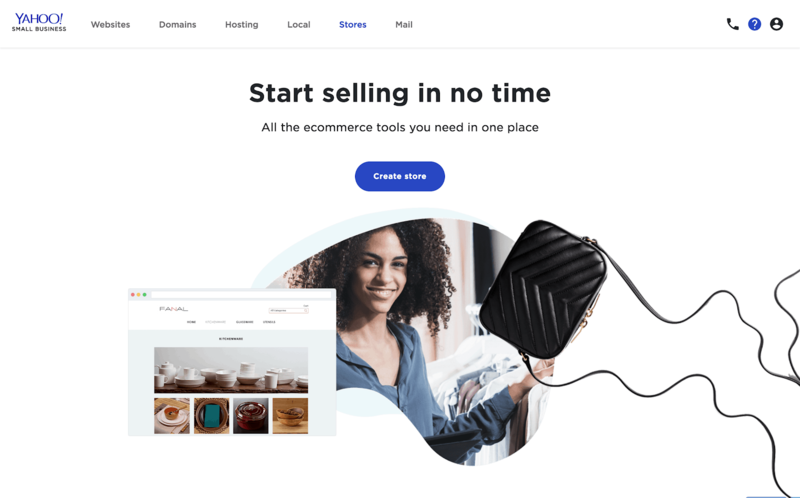 Weebly is well known for its website building functions, but it also offers ecommerce services with some competitive features. 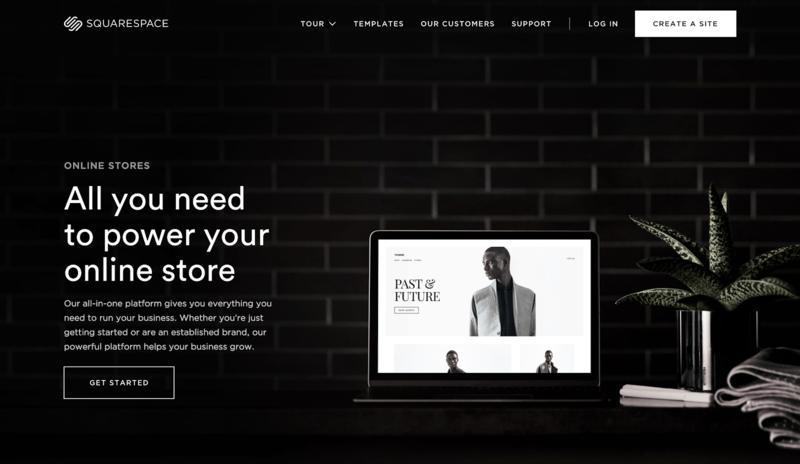 As with most modern ecommerce store builders, Weebly offers a free trial before requiring a monthly fee, which includes hosting. Wix ecommerce is great for small businesses looking to expand. It offers strong phone support, amazing theme design, and an easy to use platform. This all comes at a reasonable price. If you are looking for something simple and easy to use, Wix could work. You won’t need a designer with Wix. The themes are top notch and there’s lots of free options included. X-Cart has been providing ecommerce platforms for over 15 years. They have well over 30,000 online stores and over 2 billion in gross merchandise volume. They offer free options, but you will have to pay for hosting. If you do not want to go through the hoops of a technically demanding ecommerce store, you may want to look elsewhere. Ecwid is small-business friendly ecommerce platform that offers a range of features. They have a free option, but that does not come with hosting options. Ecwid has a huge base, with hundreds of thousands of store owners. They also have some more technical features available for those who can use them. Overall, Ecwid should be considered by small businesses looking to break into the ecommerce game. 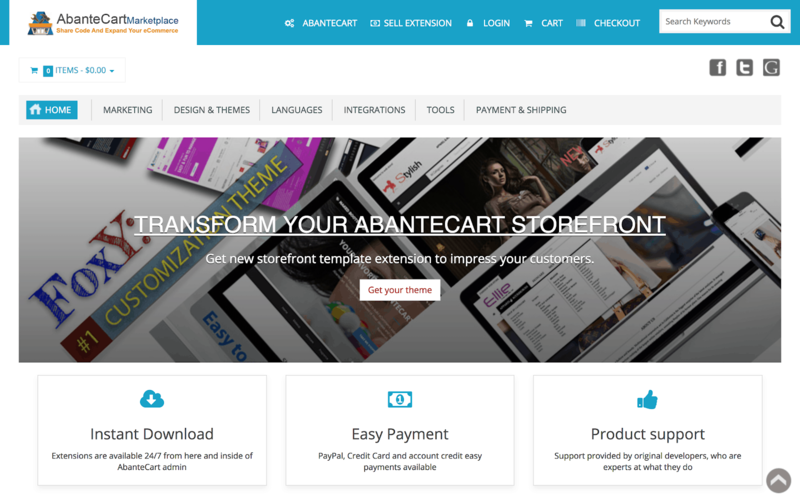 AbanteCart offers its ecommerce tools for free. They excel as a shopping cart app. While they are a free service, you will end up paying for hosting services. The biggest setback for AbanteCart is the accessibility; you will have to have some strong technical skills to get the most out of AbanteCart. As the name suggests, Big Cartel is a major player in the ecommerce game. Why? They are a super accessible platform that puts out good looking themes, doesn’t take a cut of sales, and have a variety of pricing options. They even have a free, albeit limited, option for users. Big Cartel is definitely a website builder to consider if you want a stress free ecommerce shop. Cart66 aims to be an easy-to-use, one-stop ecommerce platform. They offer a lot of freedom as far as products sold. 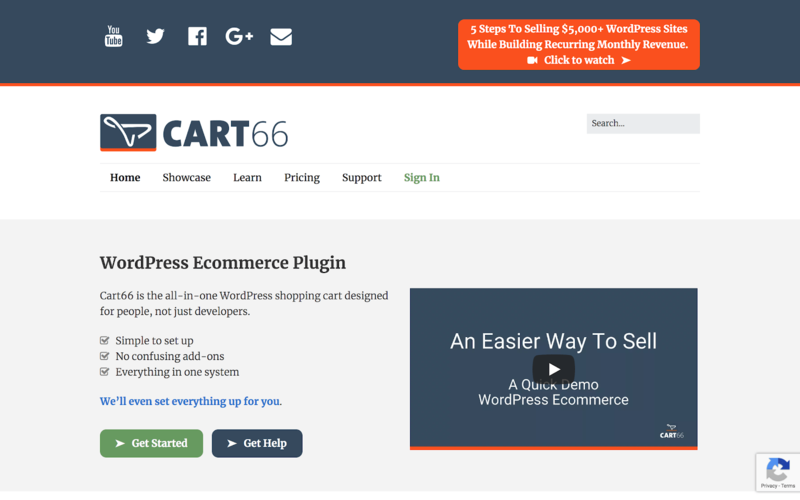 If you can navigate WordPress in the slightest, you can confidently use the Cart66 platform. They are a bit pricey, so they are not the best option for the budget-minded. Demandware is a technically demanding, but effective ecommerce solution. Their services are pricey and they are not ideal for startups or personal ecommerce stores. However, if you are planning on doing big business, Demandware is a platform to look into. Drupal is a comprehensive self-hosted solution. It requires some technical savvy. However, if you have the skills, Drupal is free to use and has a ton of customizable options. The catch is simply having the time, skill, and dedication to make the platform work for you. 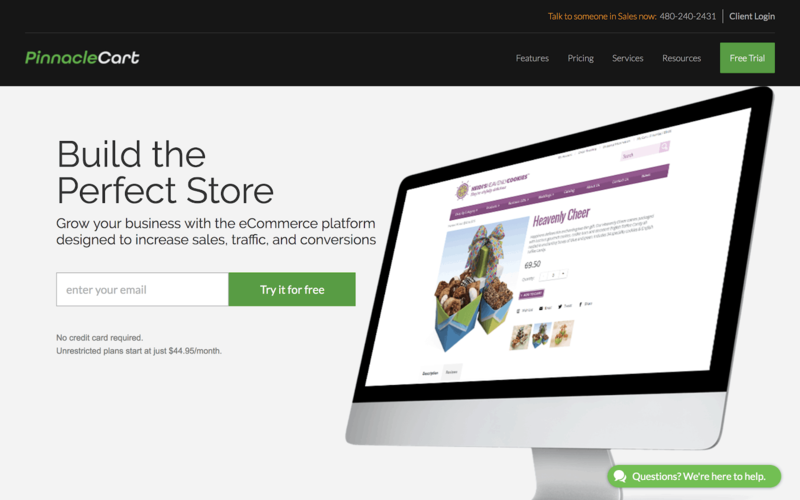 eCrater is a free and easy-to-use online store builder. It has a big appeal in its ability to import eBay products into its platform. While eCrater has its perks, it can be hard to upscale if your business starts to grow. 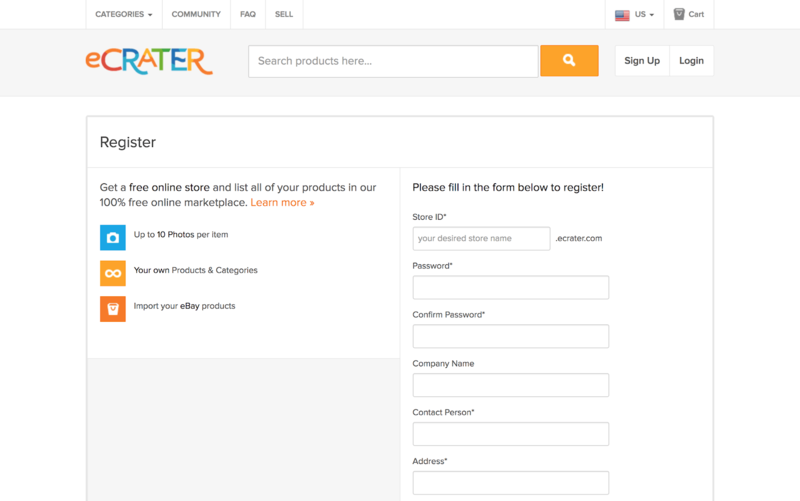 Overall, eCrater is best suited for smaller businesses and personal sellers. 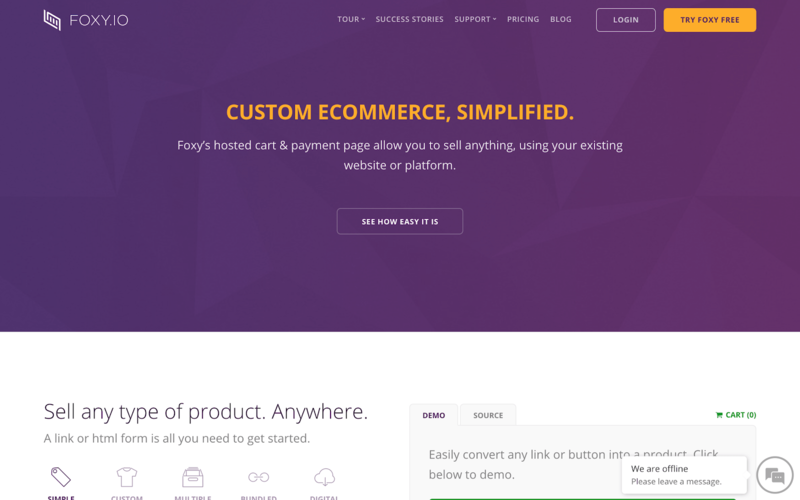 Foxycart is easy to use and allows you to integrate their shopping cart platform into your own website. This obviously allows for customization freedom. Their service is also competitively priced. The drawback comes with their $0.15 cut for every sale after the first 100. If you run a small business, this is a non-issue. However, this can really cut into profits if you start doing huge sales. 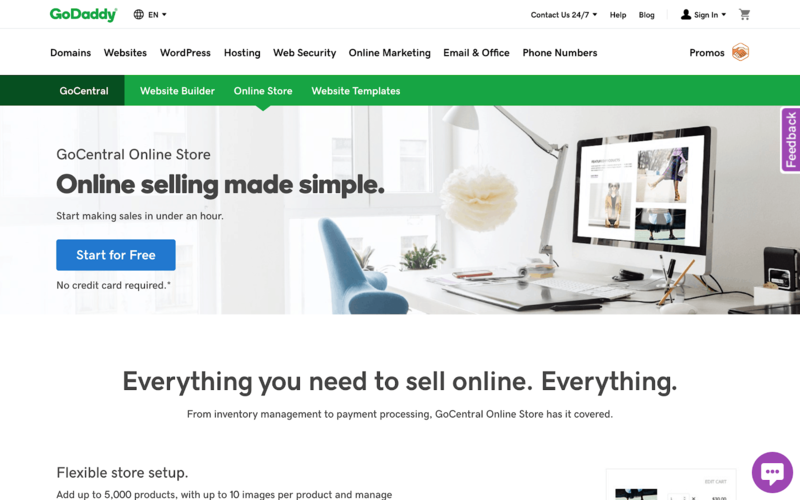 GoDaddy rose to prominence selling domains, but they also have ecommerce options available. With an easy to use platform and free options available, they are a worth a look for ecommerce sites. But I wouldn’t rely on their website builder. GoDaddy is a respected brand that you can trust to remain in business. Jigo offers full ecommerce solutions. They offer free options, but you will have to self-host. They offer strong migration options and are geared towards performing well in the SEO arena. Their platform requires a good bit of technical knowledge, so keep that in mind during decision making. Kentico is another powerful website buidler for those that can meet its technical demands. They charge extra for hosting. They do allow for maximum customization and have strong online marketing options for those looking to take their ecommerce stores to the next level. 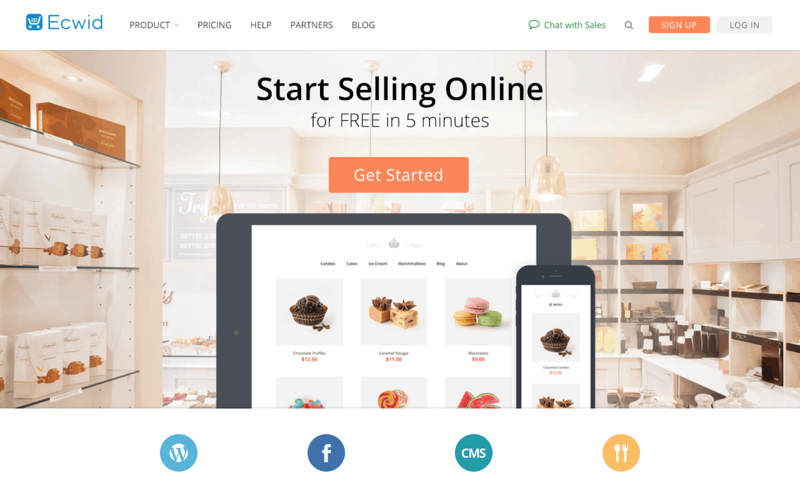 LemonStand is an easy to use ecommerce store builder that doesn’t require technical wizardry to use effectively. They produce beautiful templates and allow for a myriad of customizations. 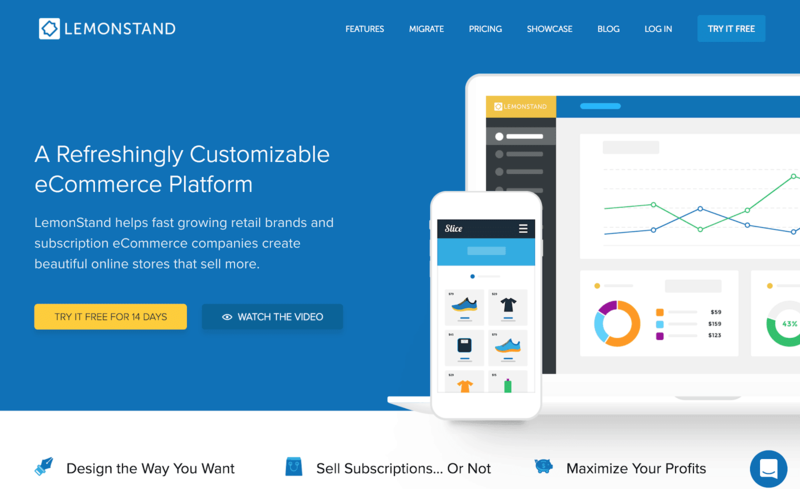 LemonStand puts out an all-in-one ecommerce platform worth checking out. MadeFreshly focuses on providing options for a range of different clients. They offer a free option, and also paid options that include hosting. They are an easy-to-use platform that separates themselves by offering lessons to increase your ecommerce knowledge. Moonfruit is an accessible ecommerce solution that includes hosting in its pricing options. 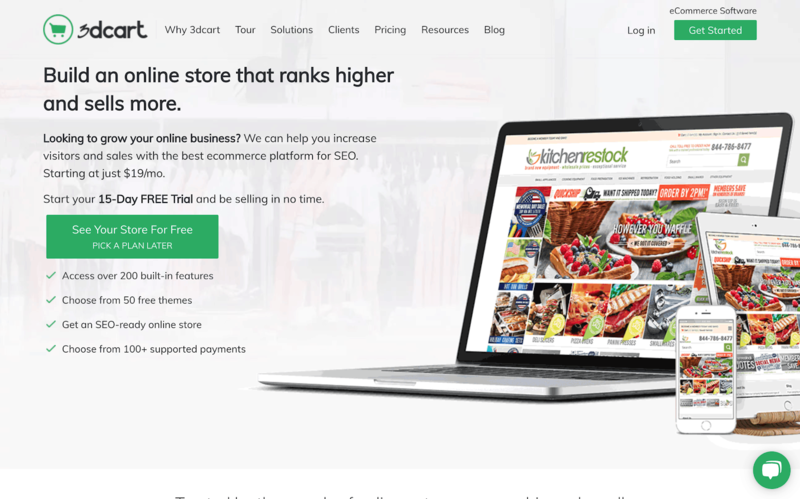 They thrive in producing sleek, modern looking online stores. If the visual appeal of your site is a top priority, Moonfruit is a decent option. 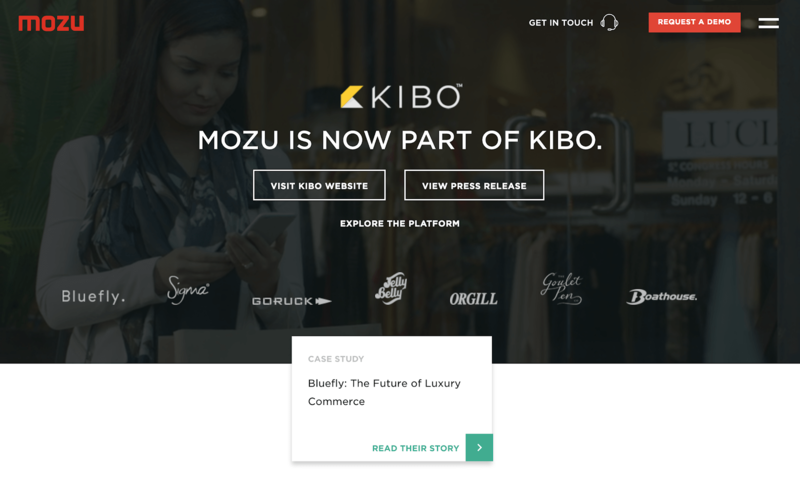 Mozu is a strong ecommerce tool for those with technical skills. They host some huge brands such as Sigma and Jelly Belly. Mozu uses a SaaS approach, so you don’t need to worry about hosting. If you are tech savvy, Mozu is a good option. nopCommerce offers a variety of ecommerce store building options. They have free options, but they are limited and do not include hosting. 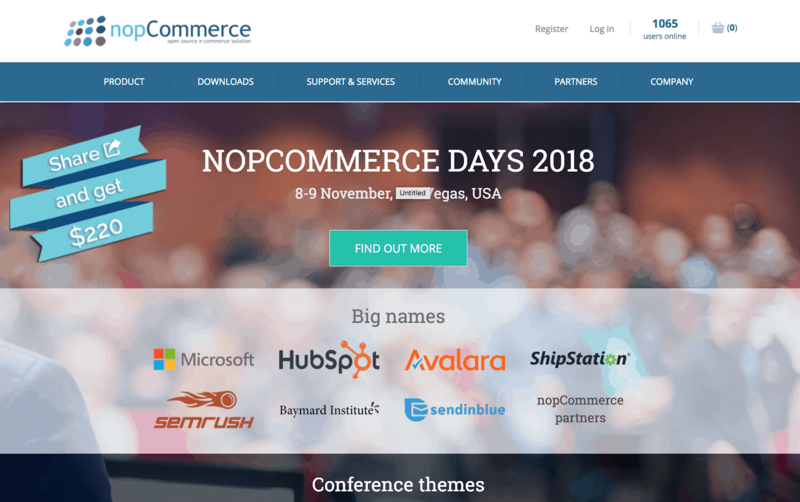 You must have technical prowess if you want to use nopCommerce. Big-name partners include Microsoft and HubSpot. With the right skill, nopCommerce can work in your favor. 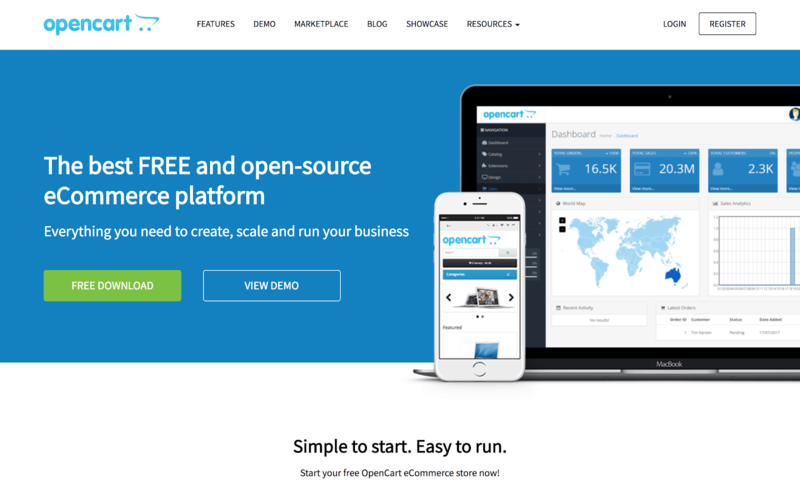 OpenCart is one of the top free ecommerce platforms. However, you need some technical know-how and the ability to self-host. They charge for hosting if not. OpenCart offers demos to help ease the steep learning curve. Their design is straightforward and effective. PinnacleCart focuses on boosting sales and traffic. They do not include hosting in their cost and do not offer a free option. You can, however, use a free trial. Do not consider PinnacleCart if you are lacking a strong budget and technical skills, as both are required to get the most out of the platform. Selz is an easy to use ecommerce software option with a variety of plans and options. Hosting is included, and they even offer free packages. They have great design templates and put an emphasis on social media. If simplicity is your thing, Selz is an option to consider. Storenvy is a brand that focuses on independent businesses and creativity. They are an easy-to-use platform. They are SaaS based. Storenvy offers a free option as well. If you are looking to move lots of product, or want a more business professional option, Storenvy is not your best option. Ubercart is is a technically demanding ecommerce platform. 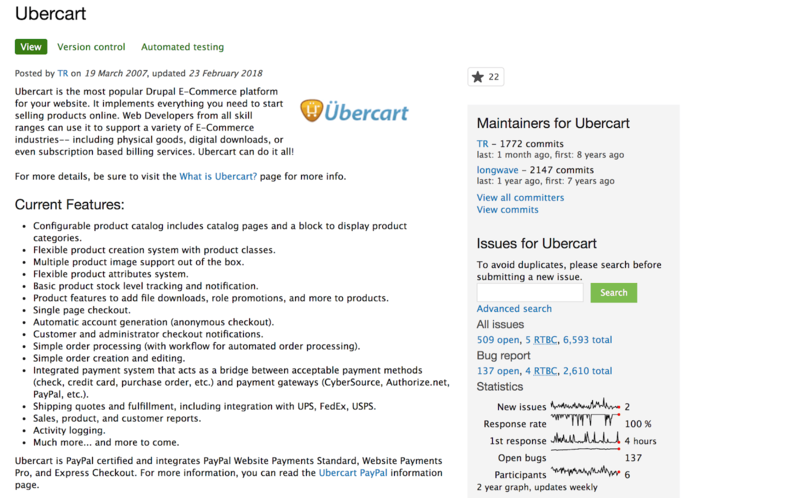 If you don’t have a web developer, Ubercart will take a while to get used to. They also require self-hosting or separate hosting fees. 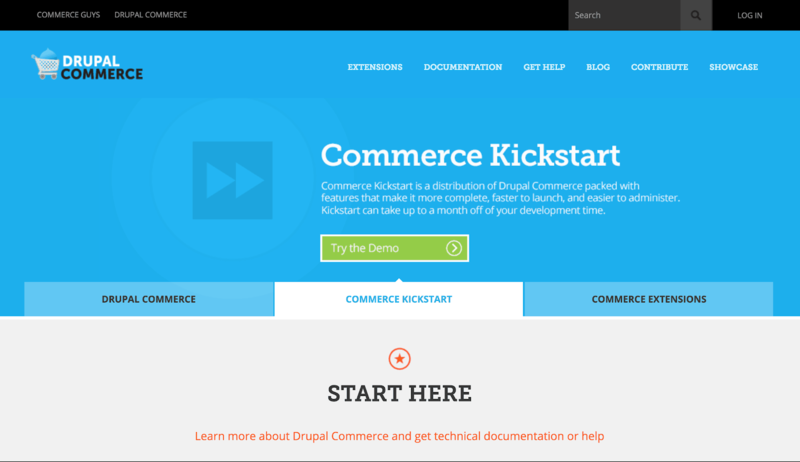 However, they are the top Drupal ecommerce builder and can produce great ecommerce stores if used correctly. uCoz offers strong options for a variety of needs. They offer both paid and free options. Their platform is super easy to navigate. 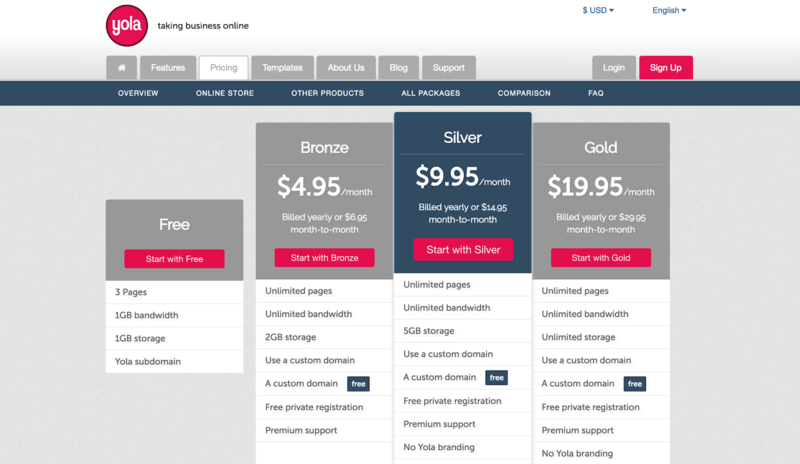 They include hosting in pricing options. uCoz offers a great, easy-to-use platform for small businesses and ecommerce giants alike. UltraCart is somewhat technical compared to options like Shopify. Hosting is not included in their ecommerce monthly options. UltraCart is yet another good option for small businesses and one man operations. 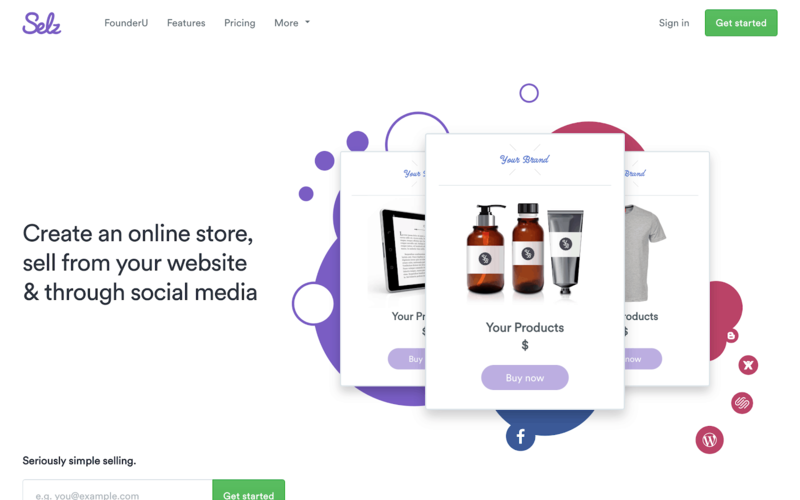 Vendio is an easy-to-use ecommerce platform focused on bringing your products to a large audience. They can help build brands with their multi-channel tool. 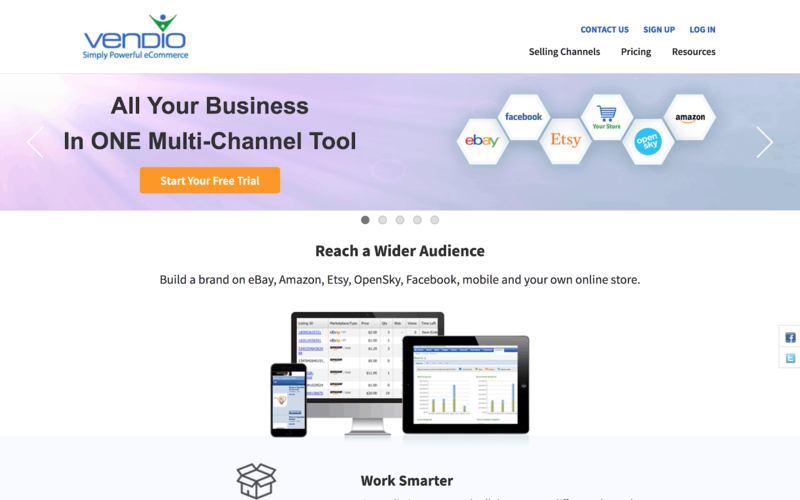 This tool can bring your products to channels such as Etsy, eBay, and Amazon. They do not offer a free option but do include hosting in their cost. 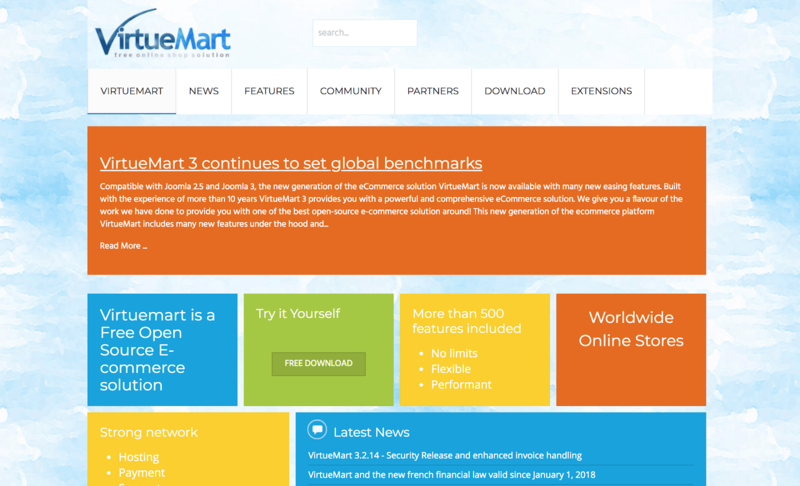 VirtueMart appeals to customers by promoting free, open-source ecommerce platforms. They have been in the game for years, and focus on well-performing sites. A drawback is that they will not host for free. Also, you must be technically proficient in order to wield VirtueMart to its full power. Yahoo is one of the internet’s most well-known brands. It should come as no surprise that they have their hand in the ecommerce industry. For their ecommerce platform, they take an easy-to-use approach that focuses on small businesses. Yola is a simple ecommerce platform that offers tiered services. They offer a free service, however, it is extremely limited, and does not include a custom domain. However, they are a great budget-friendly option and can offer a decent ecommerce experience on the cheap. ZenCart offers ecommerce solutions that can be highly customizable. 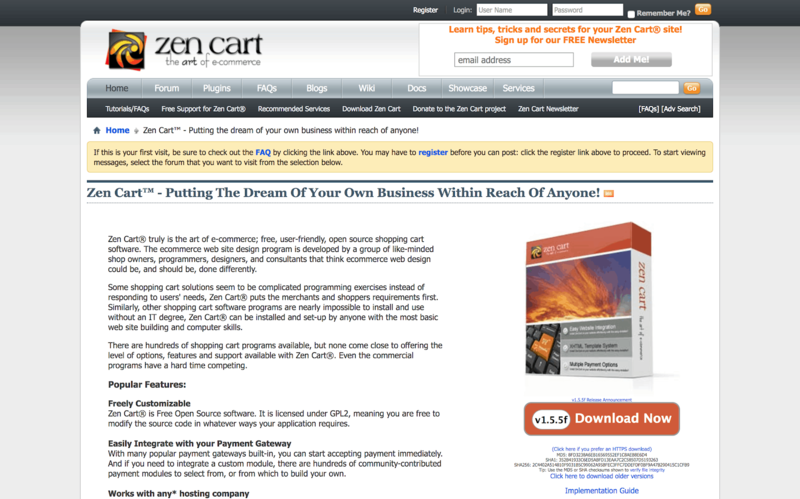 ZenCart is a free service, but you will have to pay for hosting. It is also a fairly technically demanding platform. If you have the skills to make it work, ZenCart can produce a budget-friendly, well-functioning ecommerce store. 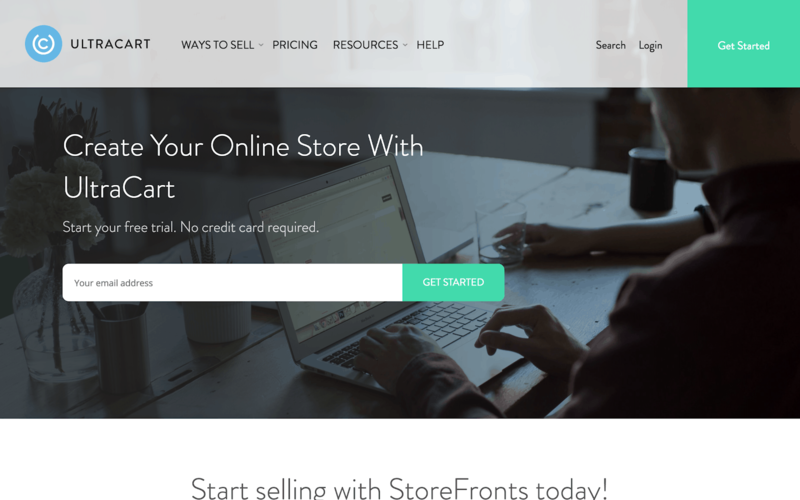 So Whats the Best Online Store Builder? Narrow down your choices to three or four top candidates that meet your needs. 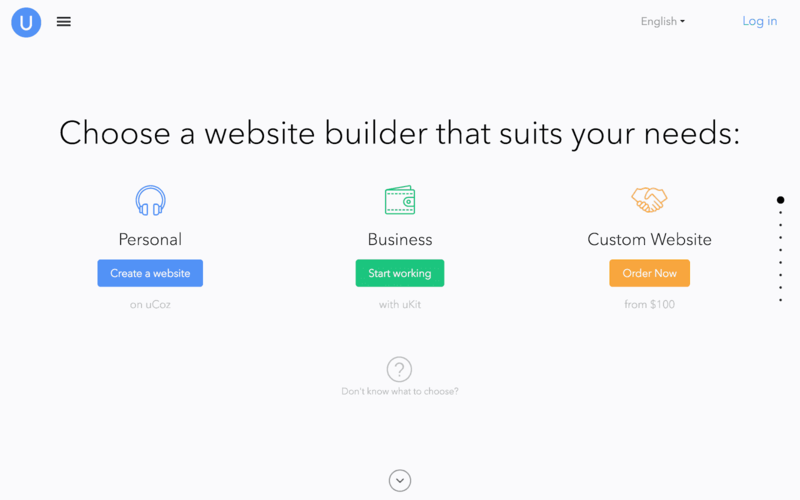 After narrowing down, check out an in-depth review of each website builder to really educate yourself. Take the time, do the work, and start down the path to creating a booming ecommerce business for yourself. Find this list helpful? Give us a share on Facebook or Twitter.